On my way home from work on Monday, I logged on Twitter as normal only to be met with a flood of tweets from bloggers congratulating me. "What is going on?" I thought. 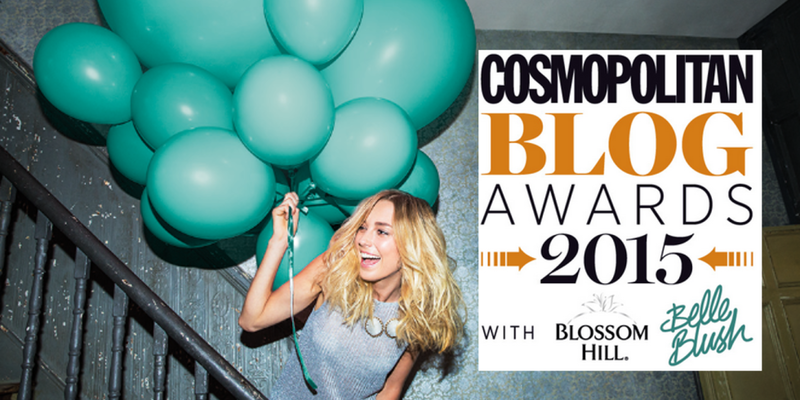 Well it turns out that I have been shortlisted for a Cosmopolitan Blog Award! Yes! Me! I'm up for the 'Best Use of Photography' Award which is so flattering! It was my New Year's Resolution this year to really put effort into my blog and take it to the next level and I've really been pushing myself with my photography. I invest a lot of time into photoshoots and I am so pleased that other people are enjoying the results. Every year I see blogs I love up for Cosmo Awards but never in my wildest dreams did I think I'd be up for one. To vote Two Different Worlds as Cosmo's 'Best Use of Photography' 2015 - click HERE. It'd mean the world to me if you could all vote and thanks to everyone who nominated me so far. You guys are the best.